The intersection of hospitality and technology is evolving at a rapid pace. To keep a pulse on these trends, Modern Restaurant Management (MRM) magazine launched a MRM #RestaurantTech column. To submit items, contact MRM Executive Editor Barbara Castiglia at bcastiglia@modernrestaurantmanagement.com. This week, our friends at BlueCart’s introduced “The Restaurant Stack” eBook, the one-click destination for chefs, restaurant owners, and operation managers everywhere. Opening your first restaurant? Managing a restaurant group? This is the guide for you. Experts from 15 top restaurant professional from a variety of companies each contributed a chapter to the ebook, which has created an all-inclusive guide that teaches you how to navigate all the common missteps today’s restaurateurs make. You’ll receive detailed solutions for every challenge from payroll and compliance to menu costing and labor management. The 2017 “Stack” focuses especially on technologies and strategies that are easy-to-use, affordable, and turn-key solutions to serious productivity and profitability challenges. With restaurant closure rates high as ever, committed owners, chefs, managers, and investors alike are always on the lookout for innovative solutions to their most pressing problems. The Restaurant Stack covers a wide-range of important issues – from labor, inventory, waste, and financial management, to design, marketing, event planning – and provides readers with simple, actionable steps to dramatically improve performance in each area. Companies selected for inclusion in this year’s Stack include: BlueCart, Reserve, TouchBistro, Kabbage, Upserve, Mazars, Food Shift, FoodLogiq, Streetsense, Social Tables, Nom, Wagepoint, RizePoint, When I Work, and Industry.Co. To download a free copy of this resource, click here. More than 20 local restaurants will take their shot at being crowned as the purveyor “South Florida’s Best Burger” through a unique digital battle. Starting Feb. 1, the contest, BurgerBattle.io, will offer burger lovers two months to visit participating restaurants and rank, review and share burger selfies to win prizes. Each restaurant will nominate their own, unique burger for the battle and local burger lovers will decide which meat-between-the-buns concoction is tops. South Florida’s first online burger battle has a roster of participating restaurants covering Broward County, northern-Miami-Dade County and Boca Raton. Avid burger battlers will recognize some burger battle powerhouses, most notably Rok:Brgr, Tucker Duke’s Lunchbox, Brgr Stop and M.E.A.T. Eatery & Taproom. The winning restaurant will achieve top placement on Snappatizer for burger searches, and of course, bragging rights. The restaurants aren’t the only ones trying to win in this contest. 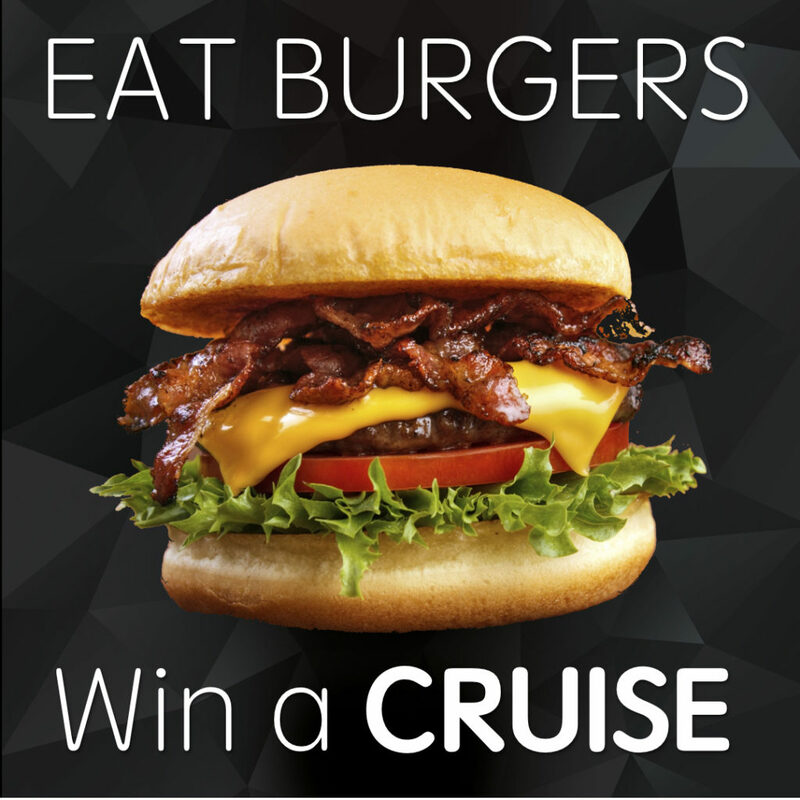 By ranking the burgers on Snappatizer, local foodies can enter to win prizes, including the grand prize of a Caribbean cruise for two. For the first time, the best burger in South Florida will be decided by Snappatizer, an app designed for foodies, using a proprietary ranking algorithm to help determine the best burger in the area. Snappatizer, based in Fort Lauderdale, was created by two food lovers tired of restaurant-ranking apps and their five-star rating systems. 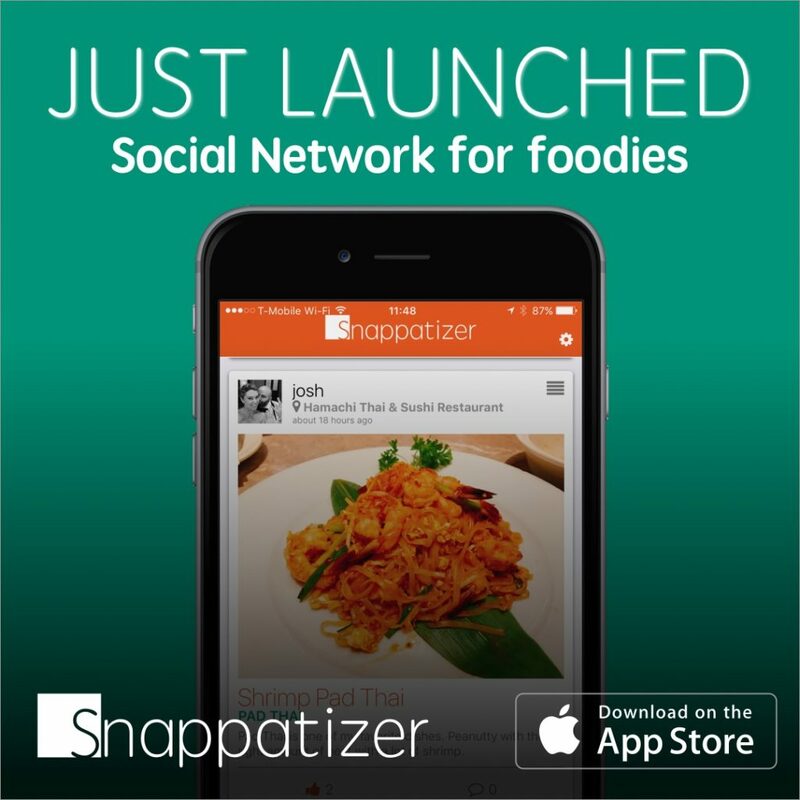 Snappatizer, a new iOS app created for foodies, soft-launched in September. Foodies can take photos of local eats, add filters, leave positive reviews specific to their dishes and then rank that dish relative to the 300+ categories available. That data is then used to feed Snappatizer’s proprietary algorithm, which powers the search function. This enables users to find the best burger, eggs benedict or pad thai in their area. Collection of technology advancements, call center virtualization and portfolio of new clients position the San Diego-based Restaurant Revolution Technologies (RRT) and services company “Beyond Takeout” as it continues to substantiate itself within the restaurant industry. 100 percent Virtual Operations – To handle call-in takeout orders for its clients RRT made the transition from a brick & mortar call center format to a 100% Virtual Call Center. The operational change has resulted in RRT being able to provide augmented service levels, more flexible scheduling to support its client’s order patterns, increased ability to hire agents with a hospitality background, and able to “Uber-ize” its services to provide immediate support to its clients during unexpected spikes in volume. Company Growth – RRT grew dramatically during 2016, added numerous new restaurant chains, with its client base now including marquee brands such as The Habit Burger Grill, BJ’s Bar & Restaurant, Kona Grill, Urbane Cafe, Kneaders Bakery and Café, Lazy Dog Restaurant & Bar, Modern Market, Mooyah Burgers, zpizza, Maria’s Italian Kitchen and Polly’s Pies, to name a few. RRT closed the year with over 25 highly respected Regional and National chains, which represent well over 1,500+ locations. Handled 1,500,000 total orders in 2016 – The total order 1,500,000 order volume represented $22.0 million in retail revenues for RRT clients. The volume mix for the year: 66% of the orders came in through a phone call, 23% of the orders were placed online and 11% of the orders were placed through a mobile device. 11,000,000 consumers in RRT’s Loyalty solution – RRT’s robust Loyalty solutions now have in excess of 11.0 million consumers using the service. Recent 2016 upgrades include: highly customizable rule sets; dynamic rewards based on in-store pricing; multiple campaigns can run simultaneously with different rule sets; per store/per region customization; auto conversion of points to rewards; auto-application of rewards to guest check; gift points; track non-members by phone, email or special issue card; merge two accounts; and guest portal for customer self-service. Launch of new Outbound Business Development services – RRT launched an exciting new service during the year which has provided exceptional value to its clients. The Outbound Business Development service resulted in RRT making thousands of “cold calls” to local businesses attempting to capture new catering orders and opportunities for its clients. The outbound calling efforts generated significant incremental business providing a very positive ROI. Additionally RRT scheduled hundreds of in-person meetings for its clients within their local communities to allow them to greatly increase the visibility of their catering services and build stronger relationships with local businesses and organizations. Support of high volume seasonal business – RRT worked diligently with one of its newest clients, who experiences an exceptional increase in volume during the end of the year holiday season to provide a series of new and customized services to support this seasonal activity. These subsequent new services included: an integration with a payment provider to take payment for guest orders at the time the order is placed; implementation of product mix reporting for advance orders that provides the future quantity of menu items ordered through the RRT system to assist clients with planning and inventory management; a customized online and mobile ordering portal for their guests along with a custom staff ordering portal; implementation of a sourced credit card swipe reader that integrates into RRT’s software; and ability to send email confirmations to guests at the time of their advanced order as well as an additional reminder email one day prior to the guests’ scheduled pickup time. The client realized a significant increase in their holiday business. These new services will also be of great value to support catering and seasonal activity for other RRT clients. Intellectual Property Portfolio Development – Adding to its technological leadership position, RRT secured its first of several patents (Patent #9,105,041) filed with USPTO. The ‘041 Patent is the first phase in allowing RRT to be the only company in the industry with the ability to provide its versions of real-time, customized menu and order management, based on capturing customer ordering history, favorites and feedback to provide RRT’s clients and their customers with a much more personalized and customized ordering experience. Five additional patents are waiting final review and approval. NCR Aloha Cloud Connect Integration – RRT becomes one of the first industry partners to offer a complete integration of its phone, online and mobile ordering and order management solutions with the new NCR Aloha Cloud Connect products. RRT had already successfully integrated with previous versions of Aloha’s point of sales system, along with integrating with point of sale systems offered by Micros, Brink, PosiTouch and Focus. RRT will continue to pursue new POS integrations in 2017, with a new integration with Digital Dining underway and ready for release in January. Upgrades to patent-pending “IntelliSell” platform – RRT has launched new upgrades of its patent-pending upselling tool known as IntelliSell, which allows RRT’s clients to realize significant increases in the average size of their tickets for takeout orders. The tool is completely customizable for each client to suggest to their customers intelligent add-ons based on: what customers order or do not order; time of day (lunch vs dinner); day during the week (weekdays vs weekends); support of special programs; and anything else RRT clients would like to focus on. New “Beyond Takeout” marketing positioning – RRT unveiled its new “Beyond Takeout” marketing positioning as the company continued to support 100% of off-premise opportunities for its clients, going well “beyond” just focusing on online and mobile ordering. The new positioning supports RRT’s ability to provide six unique service lines, which include call center support, online ordering, mobile ordering, handling larger catering orders, outbound business development services and offering a customized loyalty platform. RRT rolled out a new corporate website and embarked on new marketing, social media and email campaigns. Squadle was issued of Patent 9,534,938 covering automated handheld measurement devices and algorithms. The first product to implement this technology is the Zero-Touch™ temperature probe, which will soon be available through select hardware partners. The handheld technology joins other “Internet of Things” sensors in Squadle’s back-of-house automation platform. Squadle’s Zero-Touch™ temperature probe enables food service workers to take food and equipment temperatures 83% faster than with a manual thermometer. Workers save on average one hour a day while multi-unit owners receive peace of mind through up-to-the minute food safety compliance. Squadle customers experience up to 10 percent higher per store profits by saving employees’ and managers’ time and reducing food spoilage. Squadle started with checklists tablet that replaces paper logs. Franchise owners and managers saw that task completion rose when tablet checklists replaced paper checklists. They also received real-time accountability, operations benchmarks and best practice metrics. Building off of Checklists, Squadle launched its sensor platform and analytics which are revolutionizing multi-unit operations. Founded in 2013, Squadle is backed by 500 Startups, Bolt, Accomplice and Walnut Ventures. New hyper-local job website makes it easier for businesses in retail, restaurant and hospitality o reach talented job seekers. Mall owners can now use the platform to make hiring easier for their tenants. Hat Tip makes listing and searching for hyper-local jobs simple. This new technology allows retail, restaurant, hotel and other service companies to easily list jobs right in their store locations and allows job seekers to find them based on location. Cherry Hill Mall in New Jersey wanted to increase the number of applications to mall retailers while also making it easier to post new jobs at their locations. In July 2016, the mall teamed with Hat Tip to launch a new job board. Hat Tip’s customized job marketplace generated thousands of additional job applications. Job seekers were more engaged on the site as well, spending three times longer looking at potential positions. Because Hat Tip automatically identified and updated many jobs, the number of active job openings increased tenfold. Hat Tip is rolling out its service in cities across the country, and partnering with dozens of malls to help stores hire. 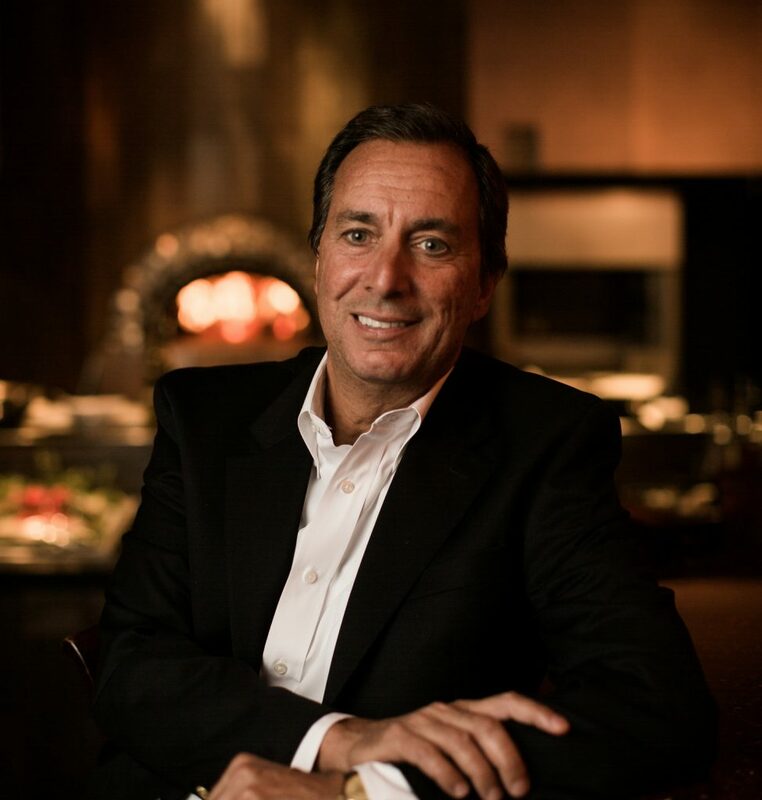 Dinova, the only roprietary marketplace exclusively focused on connecting expense account diners to quality restaurants nationwide, said Del Frisco’s Double Eagle Steak House and Del Frisco’s Grille have joined Dinova’s exclusive business dining marketplace. ID TECH, a manufacturer of secure payment solutions, mobile payment readers, point of sale peripherals, and digital signage, released its newest NFC/Contactless EMV reader, the ViVOpay Kiosk III SRED. TripAdvisor® made additions to its subscription products, enabling accommodations and restaurants to attract, engage and influence customers. Developed to reflect the specific needs of accommodation and restaurant businesses, these new products allow subscribers to access industry-leading tools to help them capitalize on all the ways TripAdvisor drives value for their business, as well as harnessing the Network Effect of working the site. The newly-released TripAdvisor Premium for Restaurants subscription product will give millions of restaurant businesses the opportunity to gain a competitive edge with exclusive access to powerful, subscriber-only features. Recent studies indicated that accommodations and restaurants that engage with TripAdvisor see stronger performance in their business metrics, including increased customer satisfaction and even stronger revenue growth – each of which can be attributed to the Network Effect. In simple terms, network effect occurs when a product or a service becomes more beneficial to its users as more people use it. In other words, it is a virtuous circle of growth where more and better reviews lead to more customers who then deliver more reviews. Business Advantage and TripAdvisor Premium for Restaurants have been designed to help accommodations and restaurants attract, engage and influence their customers – effectively amplifying the virtuous circle and driving improved results. Favorite Reviews: Restaurant subscribers can attract potential customers by highlighting a recent diner’s review as “Restaurant’s Favorite Review” and moving it near the top of their page. Exclusive Data & Insights: Subscribers get exclusive access to advanced analytics that deliver actionable data insights regarding their performance, their customers and their competitors. Priority Live Customer Support: In addition to unlimited email support, TripAdvisor Premium for Restaurants subscribers are also eligible for prioritized phone support from our helpful and knowledgeable customer support staff. Storyboard: Coming soon as an added benefit, Storyboard will enable restaurants to turn their static photos and reviews into a dynamic visual presentation that showcases a restaurant’s best features and delivers a powerful first impression to new customers, as well as a reminder for why past customers should dine again. Datum Technologies signed a three-year contract with First Watch Restaurants to continue providing outsourced IT services for the award-winning restaurant company. Datum is First Watch’s fully outsourced IT department, managing the company’s IT infrastructure at both its corporate headquarters and its nearly 200 restaurants. Datum will continue providing around-the-clock help desk support for restaurant and corporate systems, providing network security, including PCI compliance, and working with First Watch to set up all POS systems at the company’s new restaurants nationwide. Datum began working with First Watch in 2010 and has become the integral player in First Watch’s technology footprint. During the past six years, Datum has upgraded or implemented most of First Watch’s IT systems, including point-of-sale and back office platforms, accounting applications, gift card and loyalty programs, and network infrastructure. In addition to day-to-day IT services, Datum has also provided First Watch Restaurants with merger and acquisition services when the restaurant company purchased two competing brands, including IT due diligence and post-acquisition integrations and restaurant conversions. First Watch has more than 290 restaurants in 26 states, including more than 190 First Watch restaurants, 97 The Egg & I restaurants, one The Good Egg restaurant in Phoenix and one Bread & Company restaurant in Nashville. Talkwalker launched of its revamped Free Social Search, a real-time search engine for online and social. This tool allows digital marketers, communications and PR professionals to immediately track and measure their brand reputation, campaign, hashtag and/or event performance across 180 countries over the last seven days. By simply entering a keyword of their choice, users get a snapshot of a wide range of social KPIs including total mentions, sentiment, reach, related hashtags, demographics and top performing posts/articles. The Talkwalker Free Social Search offers unlimited searches and the widest free coverage available across social media and online, giving marketers a simple yet powerful social media search tool for their daily use. FoodLogiQ, an SaaS provider of food safety compliance, traceability, and supply chain transparency software solutions, expanded its team with several new hires in sales, customer success, marketing as well as appointing two leadership positions, Chief Technology Officer and Vice President of Sales. As the newly appointed Chief Technology Officer, Charles Irizarry will oversee technology and engineering efforts for the company. Formerly the Chief Product Architect and Managing Director at Rokk3r Labs, his experience includes managing sophisticated, multi-disciplinary technology teams, having launched over 20 different platforms and products across multiple businesses and industries. Chris Haase joins FoodLogiQ in the newly created position of Vice President of Sales. Chris joins FoodLogiQ from SciQuest where he was Director of Strategic Accounts for 5 years. With deep software sales and leadership experience that also included time at Ultimus and Oce, Chris will direct sales strategy and drive revenue for the company. Under Chris’ leadership, the sales team has also expanded with the addition of three new sales team members. Michelle Wells joins as the Western Regional Sales Manager, bringing extensive sales and leadership experience working in SaaS technology following her former positions at SciQuest and CivicPlus. John Koski joins as a Sales Executive to focus on growth of the food manufacturing market, joining from NetSuite where he has developed a deep knowledge of the food and beverage industry. And Todd Fabec joins the team to oversee small and mid-market accounts, offering a broad experience working in sales, marketing and consulting in a variety of industries from retail to technology. 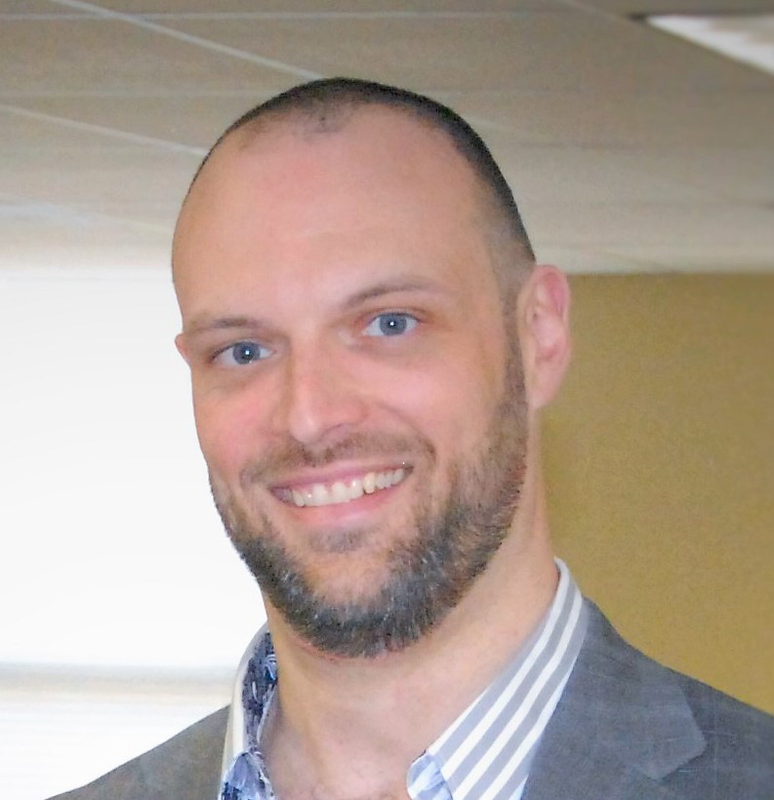 Shawn Shefte joins the FoodLogiQ customer success team as a Customer Success Manager. Prior to FoodLogiQ, he held customer success positions at Cisco and Apptio. As Public Relations and Marketing Manager, Roberta Patterson becomes the point for FoodLogiQ corporate communications and supports marketing initiatives. She will leverage her broad experience in marketing to raise FoodLogiQ’s brand visibility in the food industry and the press. The additions to the team are coincided by a promotion within the company. Jeff Ramsaur has been promoted to the new position of Senior Director of Strategic Initiatives. In this new role, he will focus on strategic initiatives across sales, account management, product development and customer success. 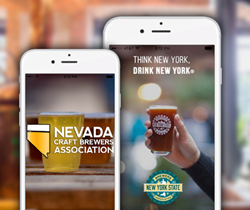 Craft beer connoisseurs in Nevada and New York now have a one-stop resource for the latest information on regional brews, brewery tours, and related events, through an easy-to-use mobile apps created by Brewers Marketing in partnership with the Nevada Craft Brewers Association with over 40 brewery members and the New York State Brewers Association with over 190 brewery members. Seekers of fine craft beer in Ohio will soon have an app of their own since the Ohio Craft Brewers Association, with over 170 brewer members, has signed up with Brewers Marketing. To meet the needs of thirsty users, the apps use smartphones’ locational data to point users to the closest craft breweries for their favorite brews. App users can also see calendars of upcoming events at breweries in their state, get contact information and directions, and curate their own personal lists of favorite brews (as well as wish lists of new beers to try). Truly passionate craft beer connoisseurs can even use the app to design and plan their own statewide progressive brewery tours. In addition, the apps’ social media integration allows users to post their photos and ratings to their Facebook accounts, providing brewers with another avenue for building brand awareness, Erickson added. Brewers Marketing is a privately held software design firm based in the FAU Research Park in Boca Raton, Florida. Its mission is to support the fast-growing craft beer market by providing craft brewers with branded customer engagement applications incorporating both cutting-edge technology and designs focused on the unique logistical and human needs of each client. DoorDash, the technology company connecting customers with the best local businesses through door-to-door delivery, launched in Las Vegas, NV. This marks DoorDash’s expansion into its 29th major metropolitan market across the U.S. and Canada. At launch, DoorDash delivery will be available from hundreds of local restaurants to customers in the greater Las Vegas area, including Westside, Chinatown, Southwest, Spring Valley, Summerlin, South Summerlin, Southeast, The Lakes, Green Valley, Seven Hills and Anthem, with more neighborhoods to be added later this year. Urban Translations, a digital menu software provider, has partnered with Samsung Electronics. Urban Translations’ software enables guests to order menu items and amenities in any language on Samsung tablets in-room, at restaurants, and other entertainment venues. During a time when the industry is seeking new ways to attract millennials, the Samsung/Urban Translations partnership provides an innovative, unique solution. The Samsung Knox™ platform is defense-grade mobile security built into their latest devices. Urban Translations is utilizing this platform to enable more customization and a better guest experience, as well as ensuring the devices are more secure than off-the-shelf tablets and iPads. To date, Urban Translations is receiving great traction at resorts, casinos and entertainment venues because of their ability to seamlessly integrate their solution throughout the clients’ entire property. Hotel guests appreciate the convenience of having an in-room tablet for ordering room service, spa, golf, restaurant reservations, merchandise, and show tickets all on one platform. Fetzer Vineyards, a leader in regenerative winegrowing, is taking another forward-looking step to conserve water with the installation of advanced water metering technology from Bellingham, Washington-based APANA, Inc. The smart water meters, currently being installed throughout the winery’s Hopland, California campus, will allow Fetzer Vineyards to quickly pinpoint leaks and water waste incidents in real time. Powered by big data insights analyzing the winery’s unique water use profile, the technology will enable Fetzer Vineyards to avoid unnecessary waste episodes and meet its 2020 water efficiency goal two years early, in 2018. Fetzer Vineyards’ new smart water meters are part of APANA’s Industrial Internet of Things (IIoT) solution, a groundbreaking set of tools allowing businesses to manage water as carefully as they monitor other crucial business assets, such as inventory. The solution’s proprietary hardware and software work by building up a perpetually developing database of clients’ water use patterns, or water signature, allowing them to quickly spot variances and implement savings activities. Because energy use is closely tied to water use, Fetzer Vineyards expects the water meters could contribute to reductions of more than 10,000 kilowatt hours of energy in addition to savings of up to four million gallons of water annually. The World Economic Forum identified water as the top global risk for the first time in 2015, and more than two-thirds of the world’s businesses report exposure to water risk, often at the expense of growth.1 With a global shortfall of 40 percent expected for water supply versus demand by the year 2030,2 business as usual in an era of changing climate and growing population requires ever-more-innovative approaches to resource conservation and optimization. Cutting-edge solutions like APANA’s that leverage cloud computing and data-driven technologies are poised to help businesses address both the economic and ecological realities of tomorrow, allowing water-intensive businesses such as wineries to remain competitive while continuing to minimize environmental impacts. In 2016, Fetzer Vineyards announced it will be the first wine company in the US to install BioFiltro’s BIDA® System, a revolutionary wastewater treatment solution that functions as a passive aerobic bioreactor, using red worms and microbes to treat the winery’s wastewater 85 percent more efficiently than traditional aeration technologies. 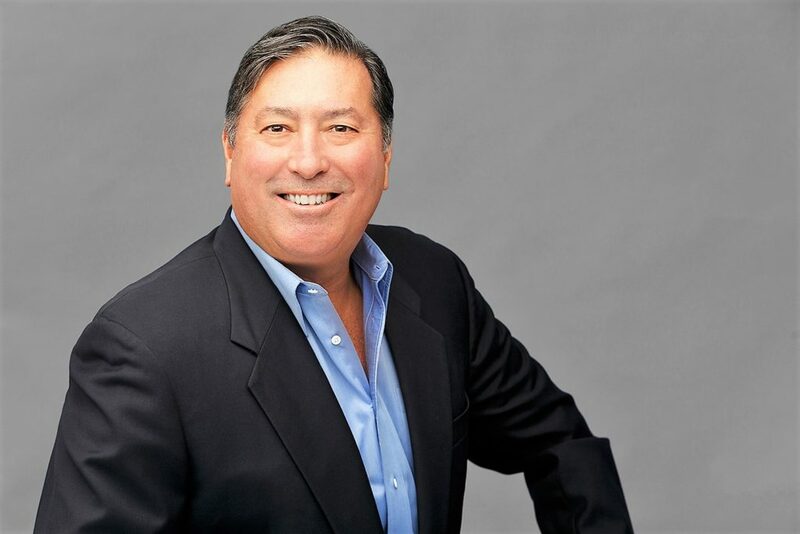 PointOS named a new Chief Executive Officer, Dylan Penebre, is perfectly positioned to continue anchoring PointOS as a formidable force in the point-of-sale industry, leading an energetic team at the new Boston, MA headquarters. In 2004, Penebre started as a key member of one of the first integrated payment organizations in the USA. In 2011, Penebre was brought on board by PointOS due to his point-of-sale industry experience and strong payment processing background. He successfully revamped operations and increased annual revenue fivefold in a few short years, propelling company innovation forward. New leadership coincides with the upcoming 2017 launch of the new ‘PointOS XE’ software. XE is designed for new and existing customers, attuned to meet the needs of restaurateurs in the hospitality industry today. “Merchants desire big data that’s digestible for local bars, but also intricate enough for large restaurant chains. The user-friendly interface should be appealing for both front & back house staff. 100% cloud-run systems have not proven reliable yet. However, PointOS XE cloud functions are supported by light & efficient local servers, to keep your business running smoothly,” said Penebre.